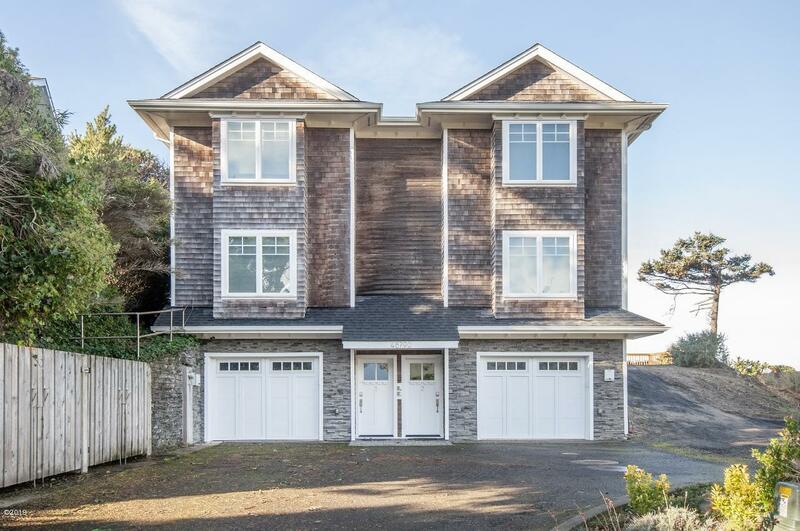 Oceanfront condominiums in the desirable Village of Neskowin. These side by side units each feature 3 bedrooms/3 bathrooms - 2 of which are master suites - upgraded finishes include granite and stainless in the kitchen, propane fireplaces in each unit. Unit 1 (S. Unit) features 1463 SF - Unit 2 (N. Unit) features 1491 SF. Live in one and rent the other or rent both. Units have great rental history. Gross income for 2018 to November 1, 2018 is $164,397. Buyers to honor all future bookings. Adjacent oceanfront lot is also available. See MLS 18-2530. Townhomes cannot sell prior to the adjacent oceanfront lot. Build 2 additional units or a single family home.